5.5" x 7.1" stitched on 18 count. 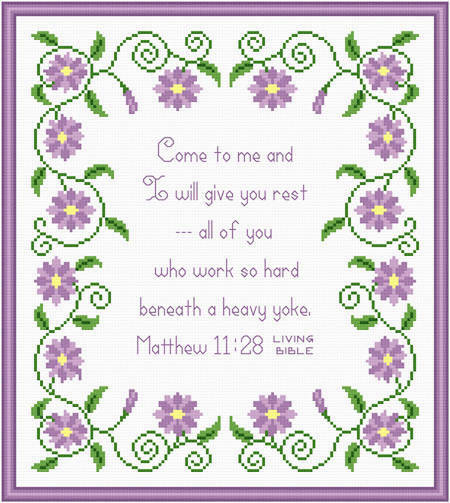 Come to Me for Rest cross stitch pattern... This bible verse is the familiar Come unto me and I will give you rest . It is surrounded by restful flowers. Whole and back stitches are used.